Business cards are an imperative part of a business. It doesn’t matter which industry you are in; whether you work as a dog groomer, an accountant, a journalist, a stockbroker – or just about any other profession – business cards are an imperative tool for success. Business cards serve as a marketing tool from which contacts can remember you by. Generally speaking, business cards contain your name and title, company name, address, email address and at least one telephone number. Sometimes they may be emblazoned with the company logo or directions to your office or store; business cards are completely versatile and unique to your company or specialism. Business Stickers have become just as important though and can be applied to just about anything: Meaning you can brand anything, anywhere. 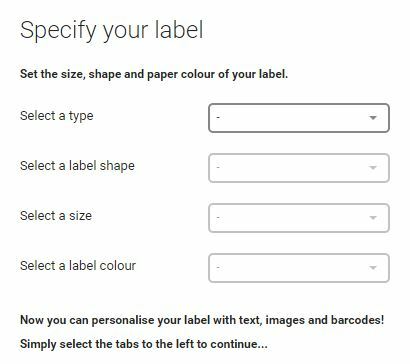 Choosing where to get business labels designed & printed can be a daunting prospect for an individual who isn’t familiar with graphic design programs: Simply select a layout, the type of lamination you would prefer – none, matt or glossy – and enter the information you wish to be printed. Stickylabels.com then takes care of the rest so you can sit back and await your business taking the next step. Another key element of maintaining a professional business is having customised stationery. This could echo your personal business card or be a generic company letterhead. 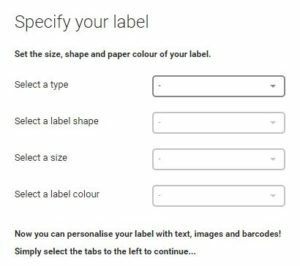 It is essential to stand apart from the competition, and a step as simple as ordering printed stationery to match your business card could be the difference between winning a customer or being thrown to the bottom of the pile. 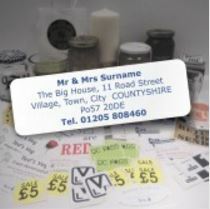 If you are still craving a proficient and honed business image, why not commission printed labels for your mail? 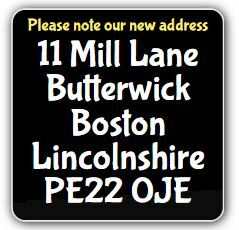 Or save time and get a return address label to apply to all letters that you send! Stickylabels.com provide all of these services in a simple and efficient way. Move your business forward today.